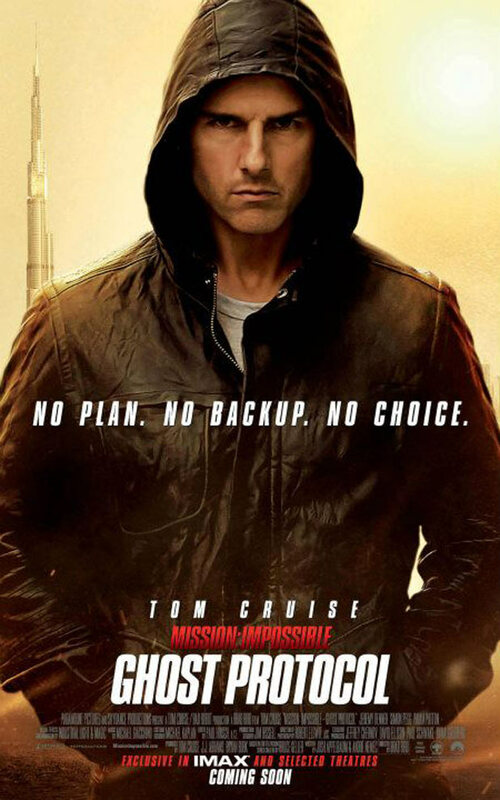 Ghost Protocol is a fairly typical spy thriller. The plot is fairly straightforward but contains all the double-crossing, nuclear weapon threats and action sequences you would expect. A geriatric Tom Cruise, along with Jeremy Renner, Simon Pegg and Paula Patton, group together to stop the original Blomkvist (Michael Nyqvist) from sparking nuclear war. The twists and turns allow for some decent action setpieces that aschew CGI effects for some proper chases and explosions. There are even some subtle nods to previous films in the series - Renner's fan jump especially, complete with sweat dripping as he hovers in mid-air. The final sequence, with its ticking time bomb, hypes up the tension considerably. The trouble is that it's impossible to take the film seriously. The script is laughable, but the inclusion of Pegg playing (yet again) a geek with tongue stuck firmly in cheek totally undermines any tension that the film strives to achieve, as well as Cruise taking it all too seriously. Further, though the mission may indeed seem impossible, our protagonist has more lucky escapes than Harry Potter. The result is a film that is totally unbelievable and difficult to totall invest in. Then there's the saccharine ending that neatly sets up future films in the series. As pure popcorn entertainment, though, it succeeds. The recent Bond and Bourne films have introduced a darker, grittier style of spy film. Sure, Ghost Protocol needs to differentiate itself from its peers, but it also needs to be dragged into the twenty-first century. Instead, it's more of an hommage to the spy films of old.